I’m TRYING to be good. But – I just spent the last 3 hours attempting to save the lives of virtual (plastic) babies … Judged by how quickly I threw ‘life saving items’ “IN MY BASKET(!!! )” … And, I’m not done yet. On Thursday, I’ll endure another 90 minutes playing ‘lets pretend’ with REAL plastic babies. Arrghh! It’s not that I want to ‘pretend’ or keep my skills current on real babies. It’s that my employer feels that spending 3 hours (ummm … 3 hours that I’m not allowed to claim as working) on some crappy-designed virtual LEARNING ‘Lets Make a Deal’ GAME will hone my infant delivery skill-set, for our free-standing ER. In my 28 years of nursing experience, this used to be taken a bit more seriously … and professionally … and paid! 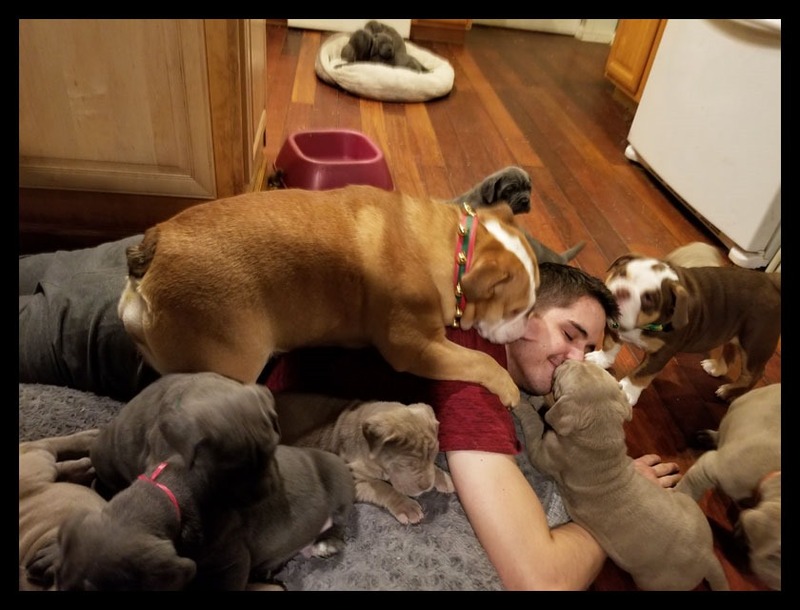 I know, play with cute puppies! 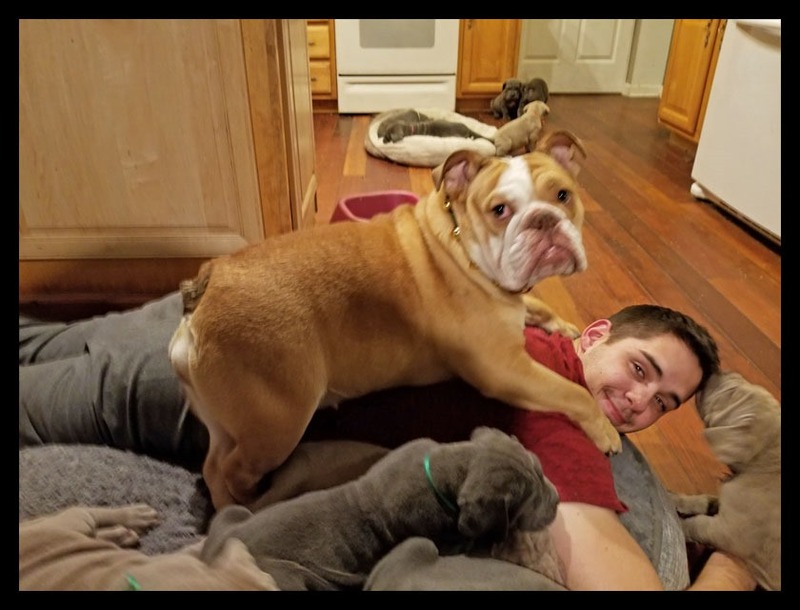 Here’s our son – being DEVOURED by Neapolitan Mastiffs and English Bulldogs! Too cute!! !